Home / Unlabelled / EFCC Seizes Fayose’s Multimillion-naira Houses In Lagos, Abuja. EFCC Seizes Fayose’s Multimillion-naira Houses In Lagos, Abuja. The Economic and Financial Crimes Commission has seized some properties said to belong to Governor Ayodele Fayose of Ekiti State. It was learnt that the properties located in the highbrow areas of Lagos and Abuja were seized as part of investigations into the N1.219bn the governor allegedly received from the Office of the National Security Adviser when Col. Sambo Dasuki (retd) held sway, through a former Minister of State for Defence, Musiliu Obanikoro, as well as some kickbacks he (Fayose) allegedly received from the Ekiti State Government contractors. 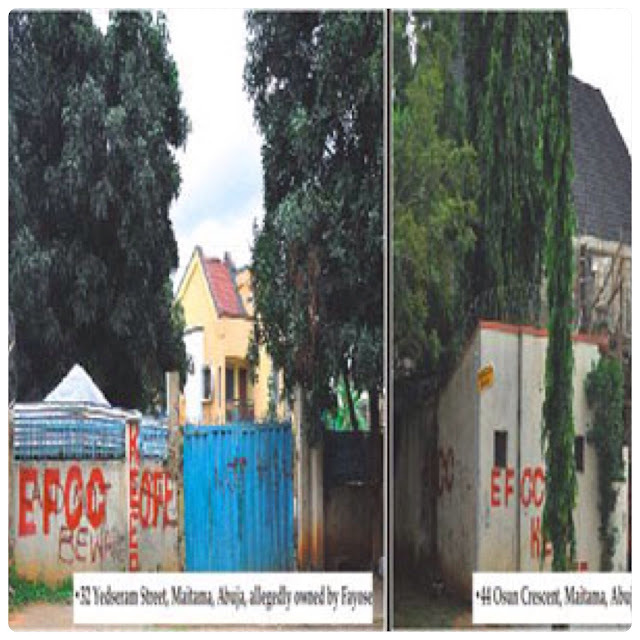 According to The Nation, operatives of the anti-graft commission have located and marked the duplexes as follows: 44, Osun Crescent and 32, Yedseram Street in Maitama, Abuja; and houses 3, 4, 6, and 9 in Plot 100, Tiamiyu Savage Street, Victoria Island, Lagos.